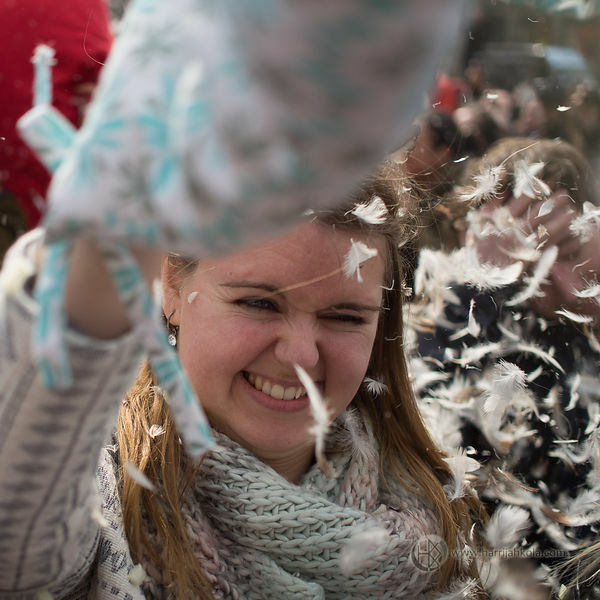 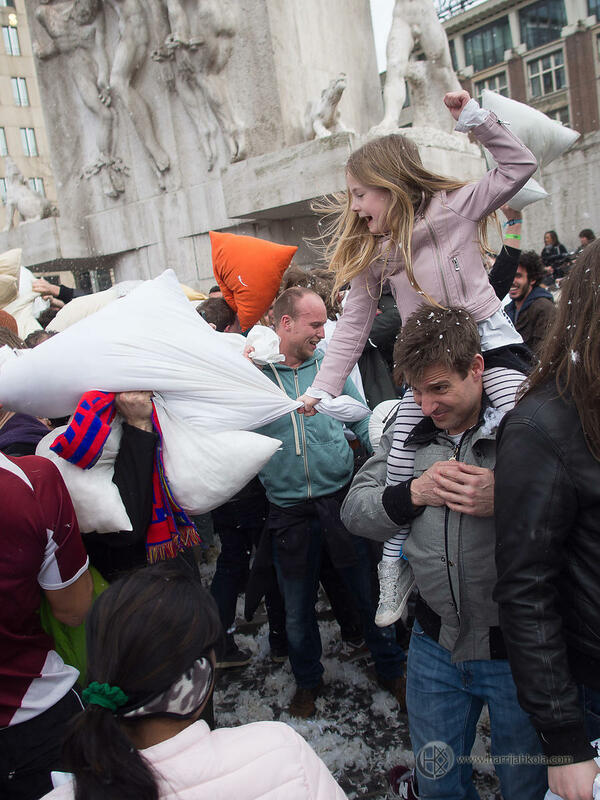 Today was the seventh annual International Pillow Fight Day. 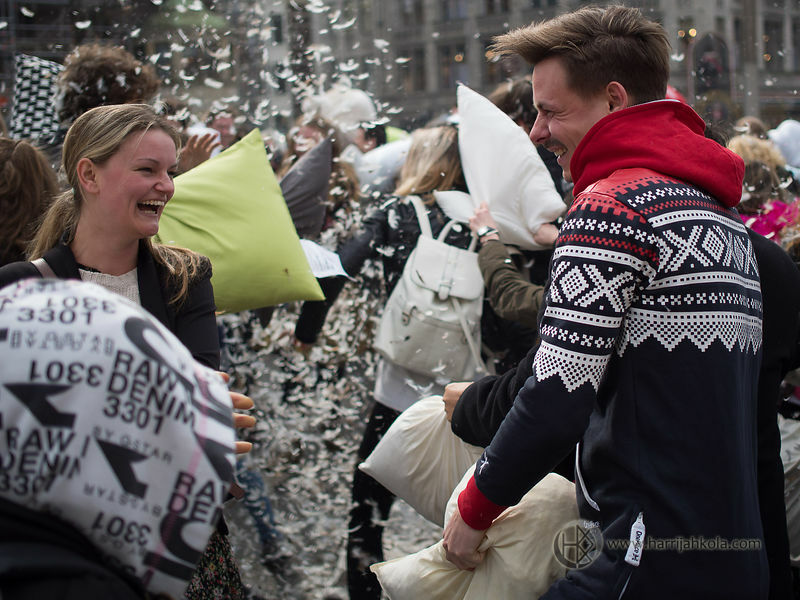 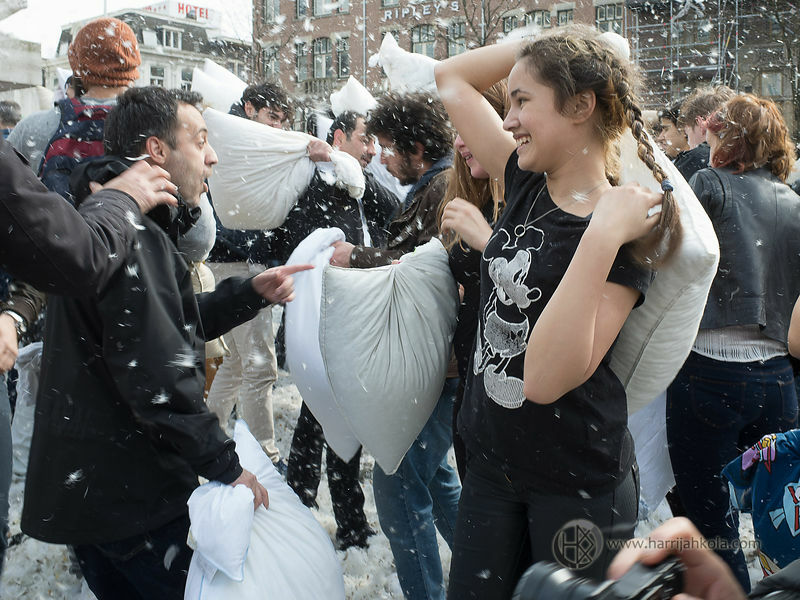 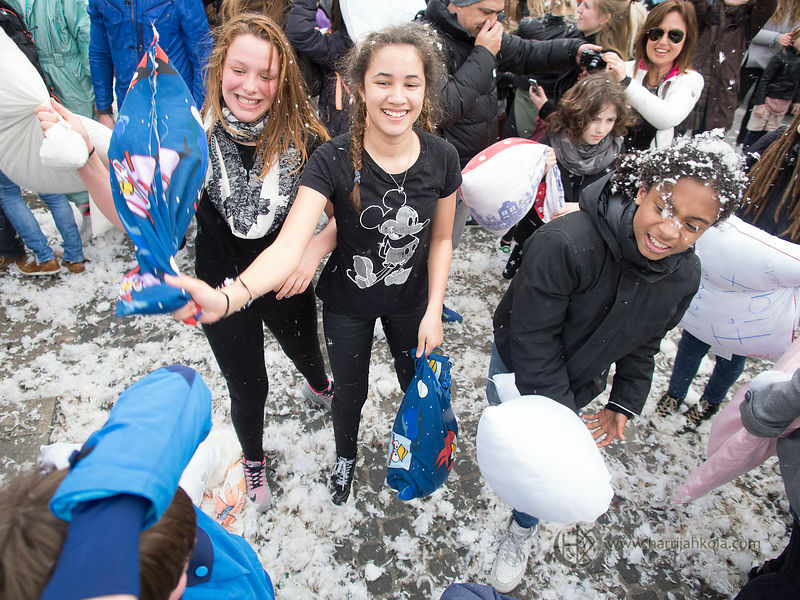 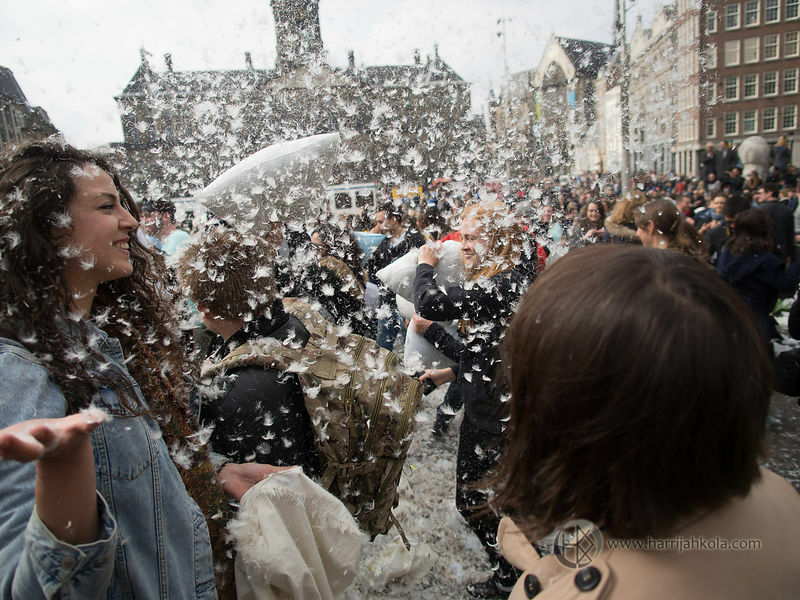 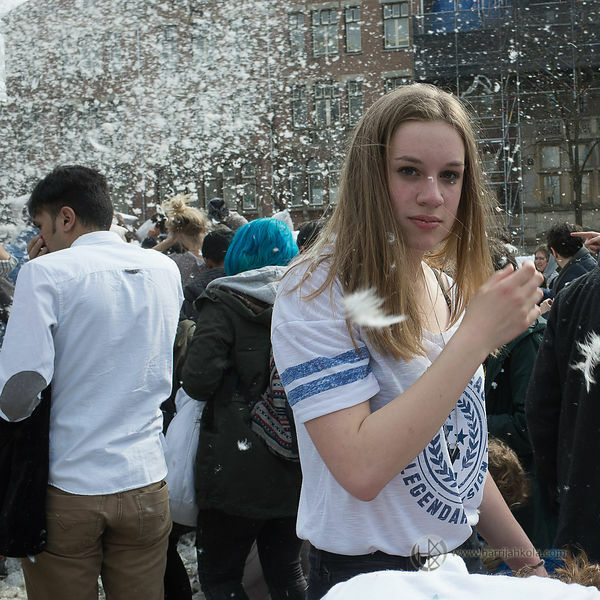 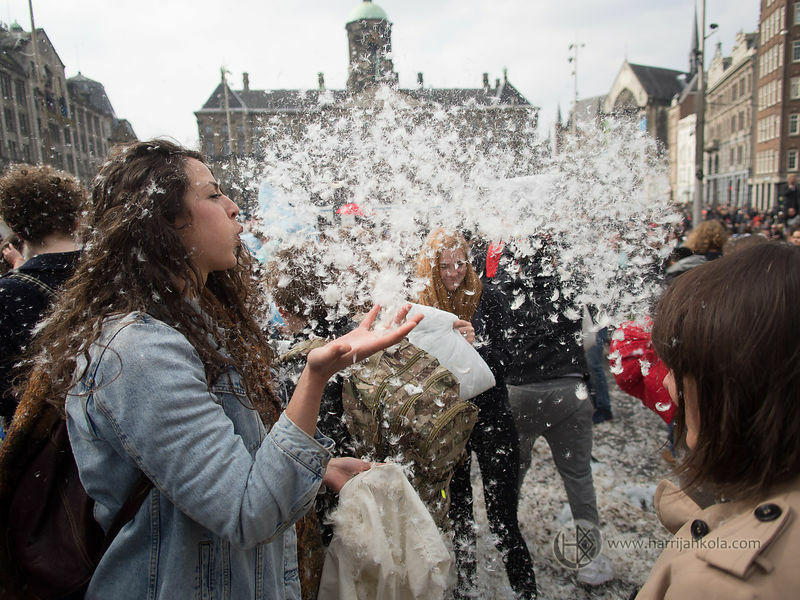 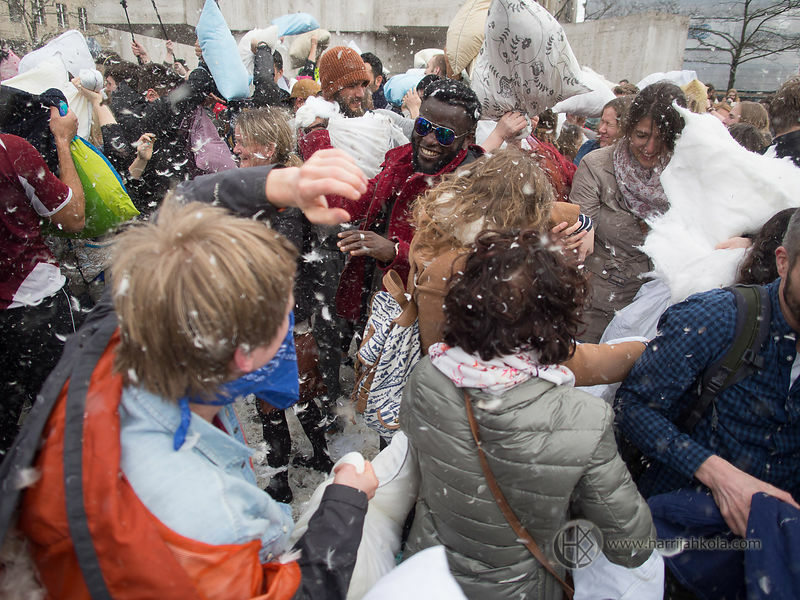 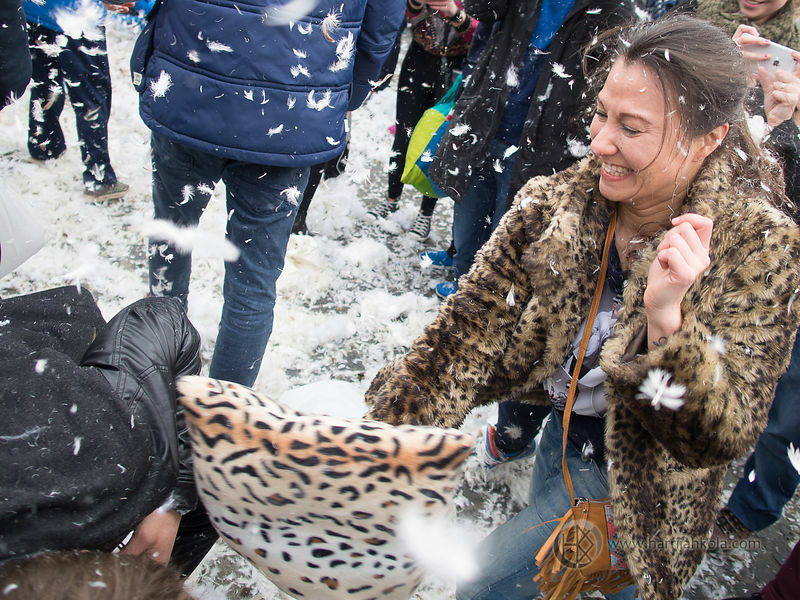 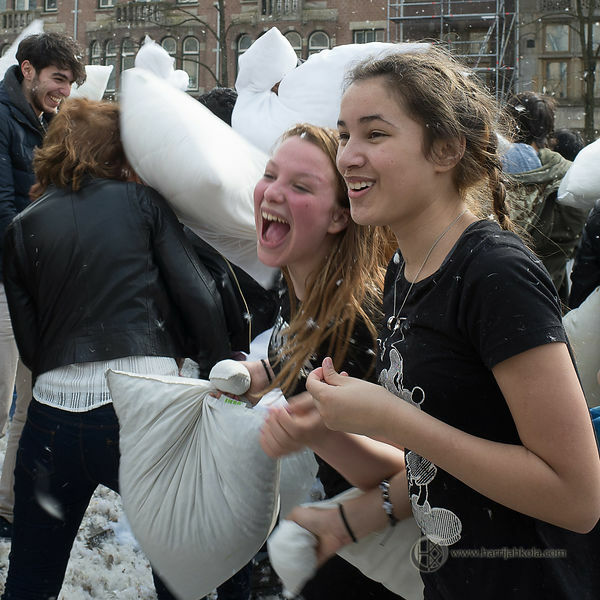 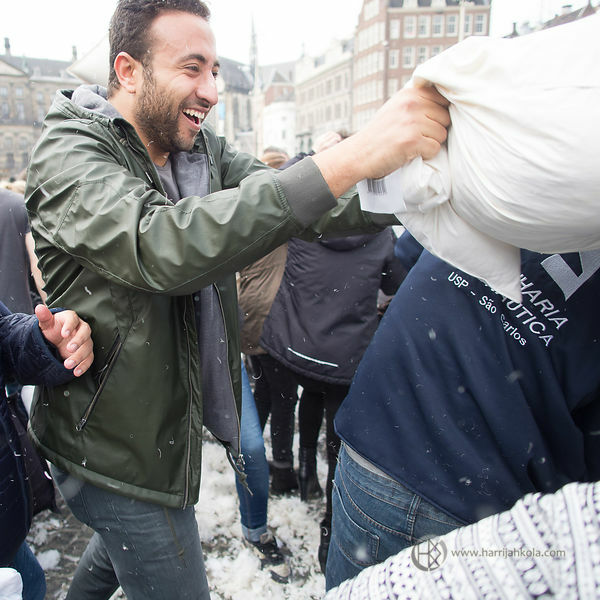 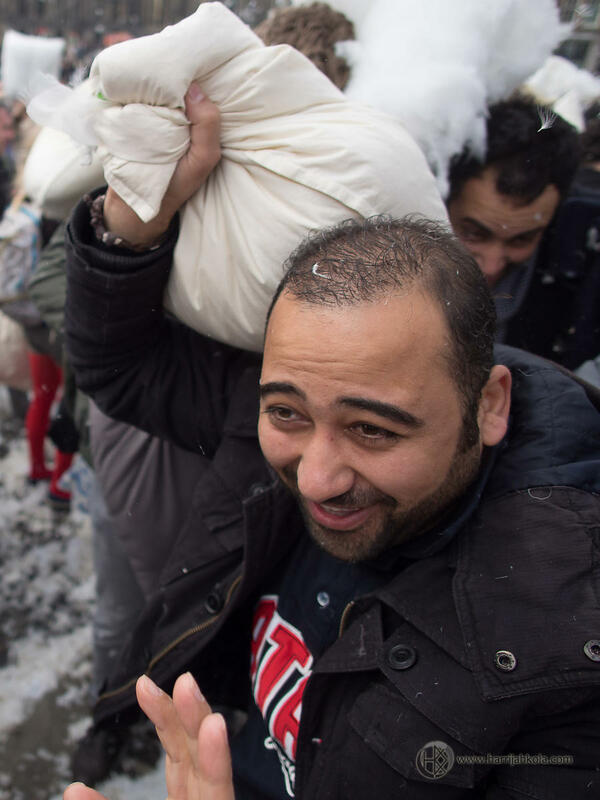 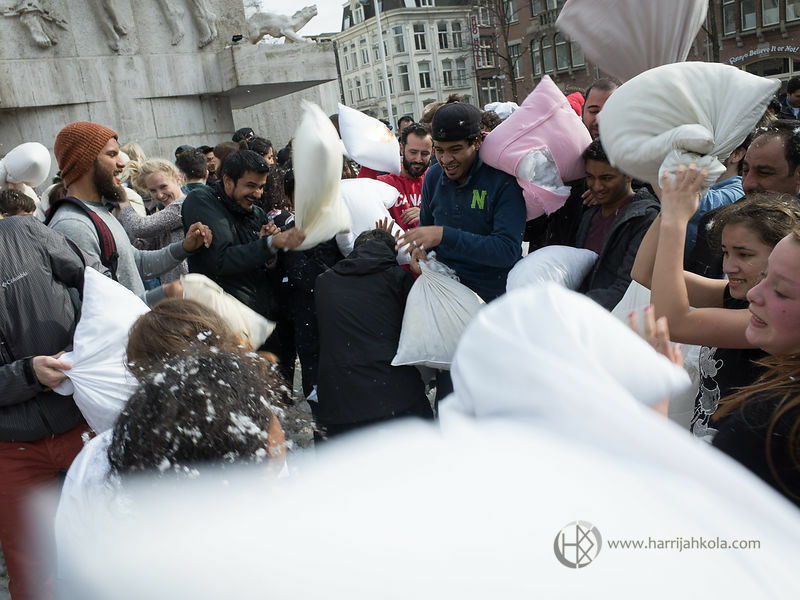 There was a Dam Pillow Fight in Amsterdam in nice Spring weather. 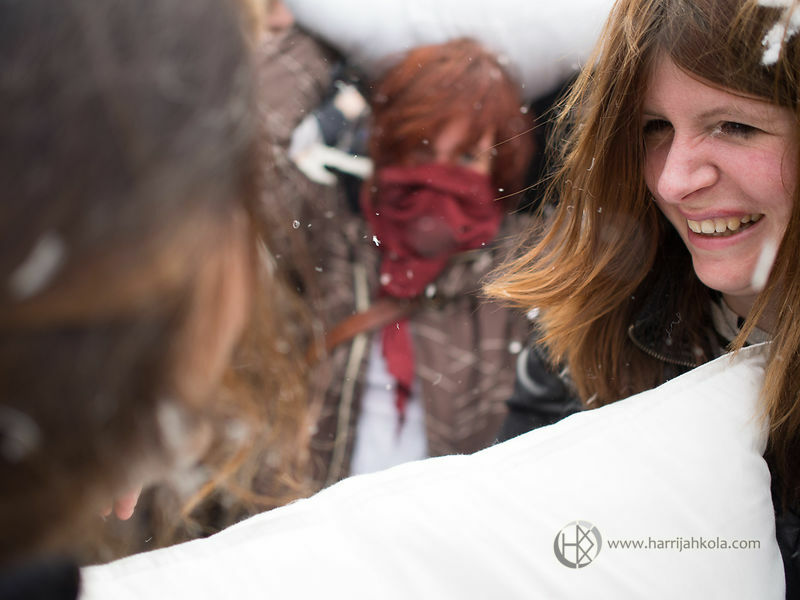 The event was a lot of fun for the fighters and photographers alike. 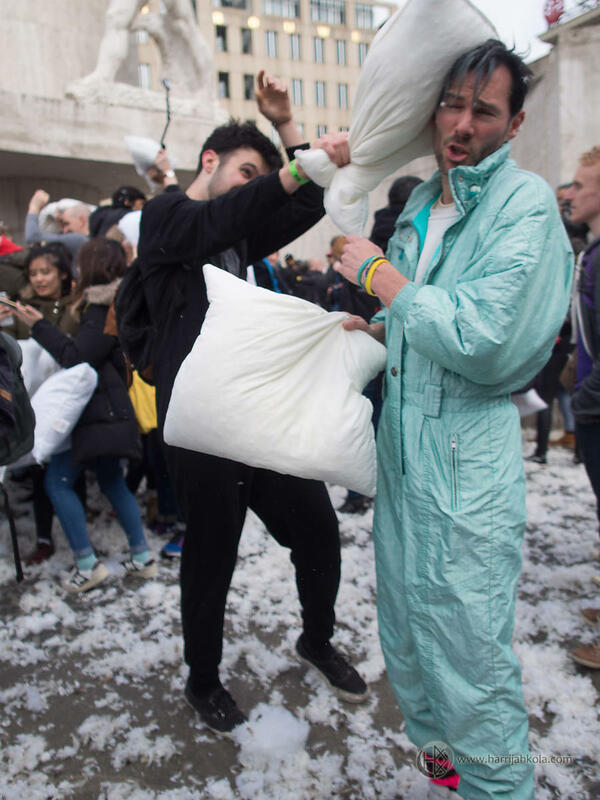 Note to self: don't wear black fabrics.